Choosing between South Beach Diet and Veestro, you are faced with a rather difficult task. Both services have unique qualities that make them highly popular among hungry customers nationwide. However, that does not mean that the choice is impossible to make, as one of these services does have a bit more to offer. Our South Beach Diet VS Veestro comparison below allows you to discover what it is that makes these two services different from each other, as well as which one constitutes a better choice. South Beach Diet promises to help you lose weight quickly and easily by enjoying its healthy, low-carb meals and snacks that are available at excellent prices. South Beach Diet offers a single standard menu and 3 meal plans, including Silver, Gold, and Platinum. The South Beach Diet menu includes 21 breakfasts, 49 entrees, and a dozen of snacks. South Beach diet offers low-carb, high-protein breakfasts, lunches, dinners, and snacks. Its menu includes shelfish-free and wheat-free items, as well as several gluten-free items. It offers a number of vegetarian-friendly meals and is suitable for diabetics. South Beach Diet uses healthy, wholesome, nutrient-dense ingredients free from artificial colors and flavors. Its meals are low in added sugars and have reduced sodium content. 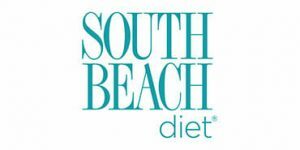 South Beach Diet offers doctor-designed, portion-controlled meals low in carbs and rich in lean protein and healthy fats. Its meals do not contain refined carbs but instead include good carbs from vegetables, fruit, and whole grains. The portions are not large, but you get to eat 6 times a day. South Beach Diet offers a 35% discount and free shipping to customers who opt for automatic deliveries. However, if you cancel your subscription before you pay for your second shipment, you will be charged $125 for the discount received upon your first shipment. After your second shipment, you are free to cancel your subscription at any time, with no extra charges. South Beach Diet does not offer returns or refunds. Highly processed food with lots of sodium and super spicy, even breakfast. Get ready for major heartburn. Lost a pound during first week but did not feel healthy. The prepared meals stray from the original concept of the plan. And beware, $125 cancellation charge. The food is disgusting. I've tried Nutrisystem their food is very tasty and I successful lost weight. On the first day eating South Beach Diet the meals tasted bad, it gave me indigestion and tasted like chemicals. They have a no refund or return policy, which I understand . I called to after 1 day to cancel the auto-delivery and they said they would charge me a $125 cancellation fee. As stated in their policy "as you agreed when placing your order". My guess is they have had people try to cancel the subscription after the first food delivery so they discount that order and then charge you $125 once you realize the food is disgusting. I'm going back to Nutrisystem and I suggest you try it too. The food is disgusting and the portions are TINY. The meals are packed with sodium. I called to cancel after 2 weeks and they charged me a $125 cancellation fee. What a rip off. The meals are boring and I lost just 3 pounds in 2 weeks, not what I expected. South Beach Diet meal delivery allows you to reap the benefits of a low-carb, high-protein diet that can transform your body while keeping you full all day long. It provides tasty, ready-made meals and snacks made of wholesome ingredients and designed to help you get in the best shape of your life. Discover more details in our South Beach Diet review.